An excellent combination of Botanical Science and Ayurved. It’s a natural hair re-grow formula - an effective herbal hair care serum, enriched with ayurvedic herbs and essential oils. Prevents hair loss with regular use. You can have a healthy scalp and hair with good volume. It’s a complete Hair Care Therapy. Again, different hair problems have different causes. Another for reason grey hair is the UV (ultraviolet). Outward part of the hair is a “hair shaft” keratin fiber structure sensible to external effects whether they are mechanical, physical or chemical. Excessive sun exposition is the most frequent cause of hair shaft’s structural impairment. Photochemical impairment of the hair includes degradation and loss of hair proteins. Hair protein degradation is induced by wavelengths of 254-400 nm. UVB radiation is responsible for hair protein loss. Absorption of radiation in photosensitive amino acids of the hair and their photochemical degradation is producing free radicals. They have adverse impact on hair proteins, especially keratin. Melanin can partially immobilize free radicals and block their entrance in keratin matrix. It also absorbs and filters adverse UV radiations. Therefore, melanin is important for direct and indirect protection of hair proteins. Protecting the cuticle is very important for keeping hair shaft’s integrity. Almond oil applied once in a week can help to moisturize the scalp, improve the hair quality and reduce hair fall. Bottle gourd prevents gray hair and hair fall; also, thickens and improves overall condition of hair, causing it to become healthier. Carrot seed has essential oil, works as an antiseptic, disinfectant, detoxifying, antioxidant, anticarcinogenic agent. Grapeseed is a great choice for hair care because it contains a lot of vitamin E, which is necessary for hair growth, and health. Wheat germ oil contains an array of vitamins, including vitamin E or Tocopherol, is well-known for its skin benefits and is easily absorbed into the skin and hair Lavender promotes hair growth and treats various hair problems like hair loss, alopecia, dandruff, etc. Olive oil moisturizes the new, exfoliated layer of skin. Keeps Hair Healthy and can be used as a Pre-shampoo Treatment Pumpkin seeds contain nutrients like omega-6 fatty acids, protein, iron, and zinc, all of which are important for your scalp and hair’s improved health Rosemary benefits Hair Growth. When applied over the scalp rosemary’s essential oil helps stimulate hair growth. Babuna gives your hair a cooling and soothing effect. Protects your hair from skin diseases such as inflammation, spots. Also, helps in relieving head ache. Asparagus is rich in protein, silicon, vitamin C & A, folic acid, antioxidants and calcium contents (essential for healthy hair) adds more strength to the roots, stimulates hair production. Apricots works wonders on hair. 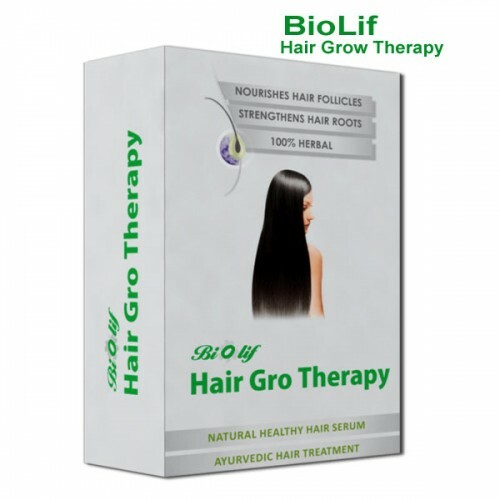 It provides Vitamin A & E which are highly beneficial for hair. It nourishes scalp and wards off dandruff. It repairs dull, damaged hair and stops hair loss. Before sleeping squeeze the tube on your palm with sufficient quantity of approx. 8 to 10 grams and apply gently using your fingertips on scalp. Leave it overnight and wash it in the morning with any mild herbal shampoo. For best result use every alternate days.